Our dental fillings are outstanding and Coconut Grove Dental wants the opportunity to prove it to you. 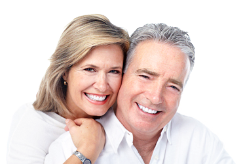 When you think of dental implants, we know that Coconut Grove Dental will be the first name that comes to mind in Miami, FL, because no one does a better job. We’ve had great success in dental crowns because we understand that every client has different needs. Your input is important because meeting your expectations is our priority. For dental bridges, we are the ones to call. Check out what Coconut Grove Dental has to offer today.